A little news about menopause: A new study suggests symptoms like hot flashes could last as long as 14 years. At this moment, considering the brutally cold weather seeping through my window panes, that almost sounds like something to look forward to. Almost, but not quite. Over all, African-American and Hispanic women experienced hot flashes significantly longer than white or Asian women. 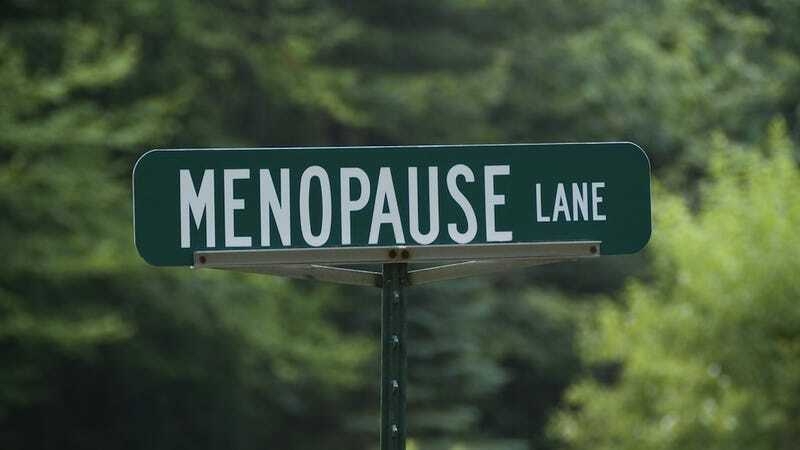 And in a particularly unfair hormonal twist, the study found that the earlier hot flashes started the longer they lasted. For women who got hot flashes before they stopped menstruating, the hot flashes were likely to continue for years after menopause, longer than for women whose symptoms only began when their periods had stopped. The study also found that women with longer-lasting symptoms tended to have less education, greater perceived stress, and more depression and anxiety. "I'm not at all suggesting that hot flashes are manifestations of depression, but they're both brain-related phenomena, and depression is also more common in the same groups," said Dr. Andrew Kaunitz, an obstetrician-gynecologist at University of Florida who was not involved in the study. [...] "Women with more stress in their lives may be more aware of their symptoms and perceive them to be more bothersome," said Dr. JoAnn E. Manson, chief of preventive medicine at the Harvard-affiliated Brigham and Women's Hospital and an author of a commentary about the study. Women develop coping strategies, of course. "I keep one of the little fans with me at all times—one in my purse, a couple in my desk, some in just random places in the office," said a 57-year-old accountant who's stopped wearing silk since her hot flashes started several years ago. I don't know about you, but I'm singing a happy little ditty to my period the next time it arrives.